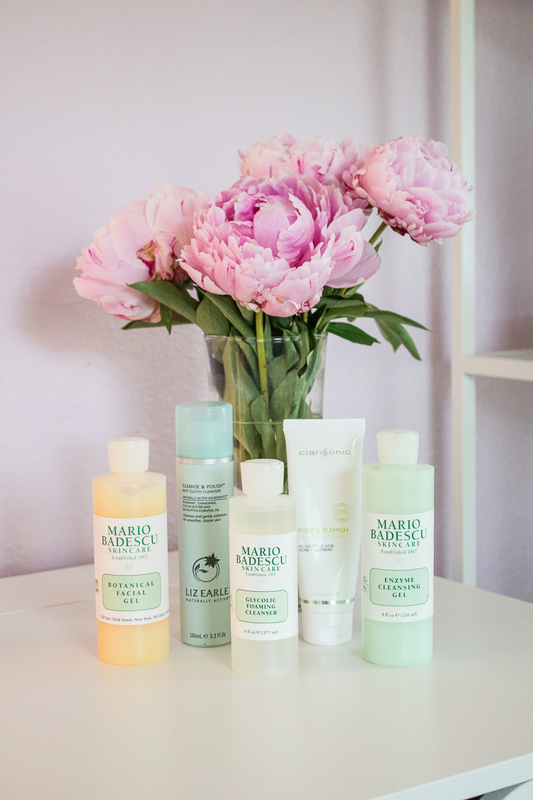 I opened my vanity the other day and realized I have five, yes five, facial cleansers on my current rotation. I used to be the kind of person that only stuck to one facial cleanser but then I realized there is not a "one size fits all" cleanser that targets everything I need. My skin is ever changing - one day it might be dehydrated, two days later I might be battling an acne flare up and a week later it might be dull and grimy. Thus, I started buying different cleansers to target the specific concerns I had each day. With all of the skin concerns I've had over the years one can say I've become a skincare guru or enthusiast, I've fallen in love with finding products that help my skin. After my traumatizing blemish breakout in college I've made it a priority to take care of my skin, the proper way, and determine what it needs by how it looks and the state that it's in (i.e., redness, flakiness, acne, wrinkles, etc.)! This cleanser, paired with the muslin cloth lifts dirt, grime, makeup and mascara to cleanse and polish your skin. It contains natural ingredients such as cocoa butter, to help soften & moisture, while rosemary, chamomile, and eucalyptus tone & purify. I use this when my skin is looking dull and clogged. I always see a difference when I use this product, it's great for all skin types so I recommend to everyone! This cleanser contains Glycolic Acid that's designed to dissolve dead skin cells to reveal a refreshed complexion. It's a foaming formula that deeply cleans and removes makeup, dirt, and oil. I use this the recommended three times a week for my exfoliator and as a supplement to my favorite daily cleanser. This product is great for all skin types so I recommend to everyone! This cleanser is specifcally for combination and oily skin. The botanical extracts gently remove oil, makeup, and impurities that clog your pores. It has grapefruit extract and Alpha Hydroxy Acid that promote exfoliation and revitalize your skin. It's recommended to use this daily, I have been using this almost every morning this summer since my skin becomes very oily in the summer! This cleanser is great for acne breakouts. The 2% Salicylic Acid is the active ingredient in fighting pesky blemishes and breakouts. I use this whenever I have bought of hormonal acne, breakouts caused by excessive oiliness, and just to treat any blemish that may pop up. I like this cleanser because it's not too drying, I always follow with a facial spray, acne spot treatment, and moisturizer! This cleanser is my typical "everyday" cleanser. It washes away makeup, dirt, and debris leaving skin clean and refreshed. This cleanser works for all skin types and is very gentle so even the most sensitive skin types can use it! 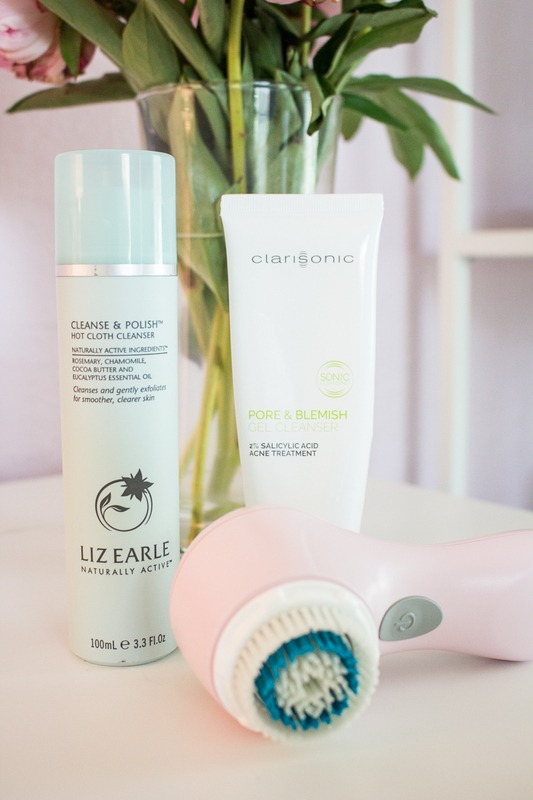 I typically pair my everyday cleanser with my Clarisonic for a deeper cleanse. * Cruelty Free! I have significantly tried to switch most of my skincare, beauty care and makeup to cruelty free products. I find it important to take those actionable steps in my beauty routines and you should too!